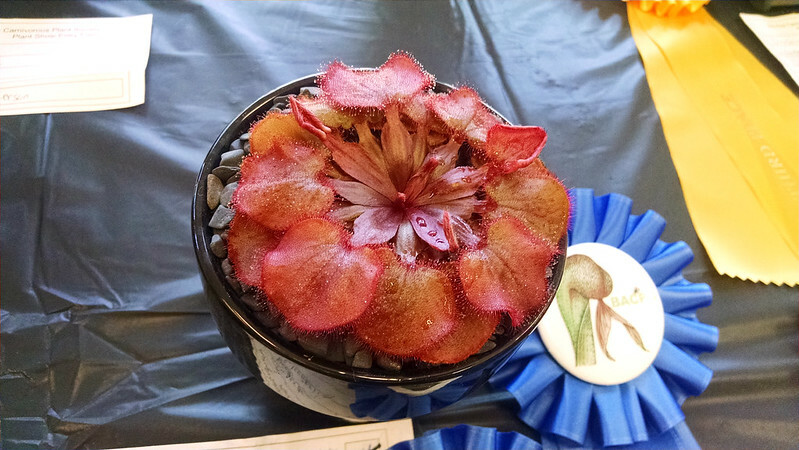 BACPS 2015 Annual Show and Sale |Sundews Etc. 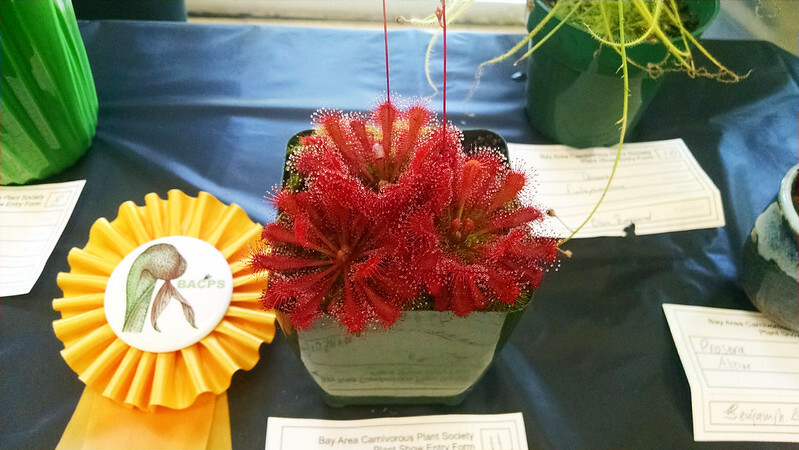 This past Saturday was the Bay Area Carnivorous Plant Society's Annual Show and Sale at the Lake Merritt Garden Center in Oakland, CA. It was a fun day! Unfortunately I got very little sleep the night before – one of those nights where you just stare at the ceiling in despair – so by the end of the show I was exhausted. It was a tough weekend for a show. 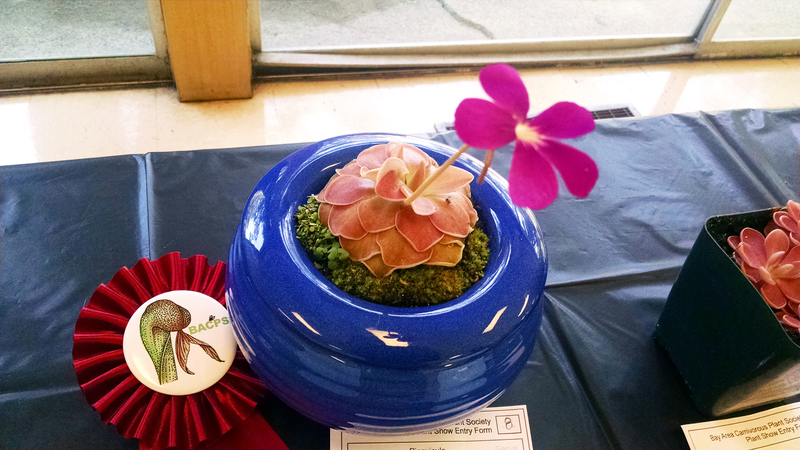 We were competing with the San Francisco Cactus and Succulent Society show, as well as the San Jose Orchid Exposition. In spite of that we had a very nice turnout from members of the public. However the show itself was a bit less packed with entries than we'd have liked. 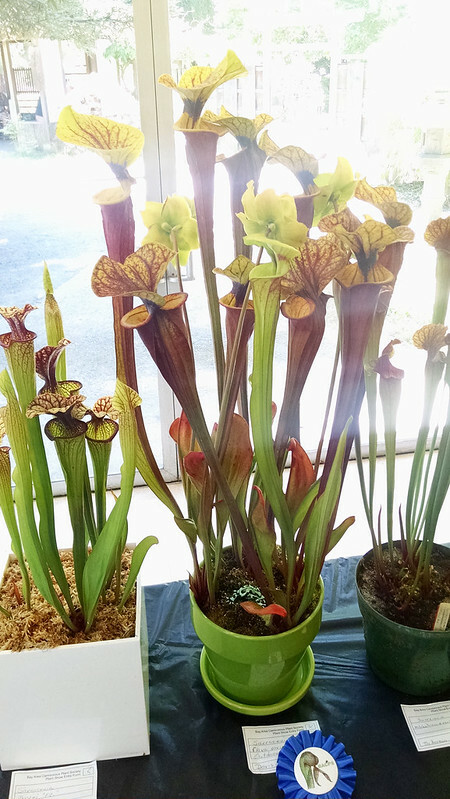 Sundews and pings were well-represented, as were Sarracenia. 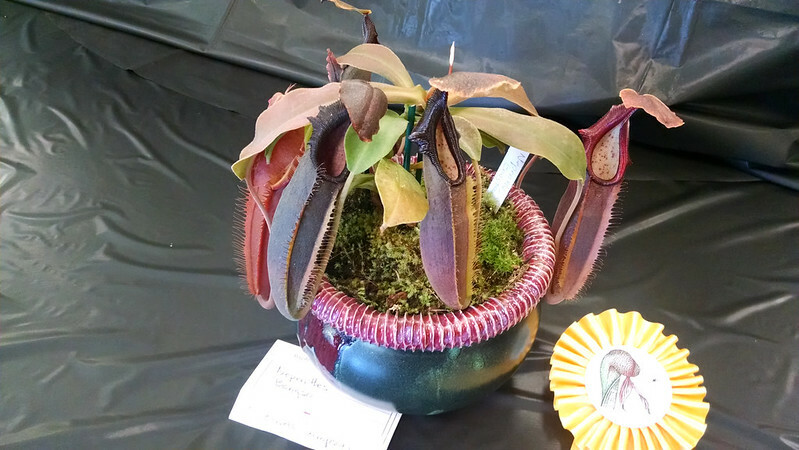 The Nepenthes entries were a bit more sparse than usual, but still contained some excellent plants. 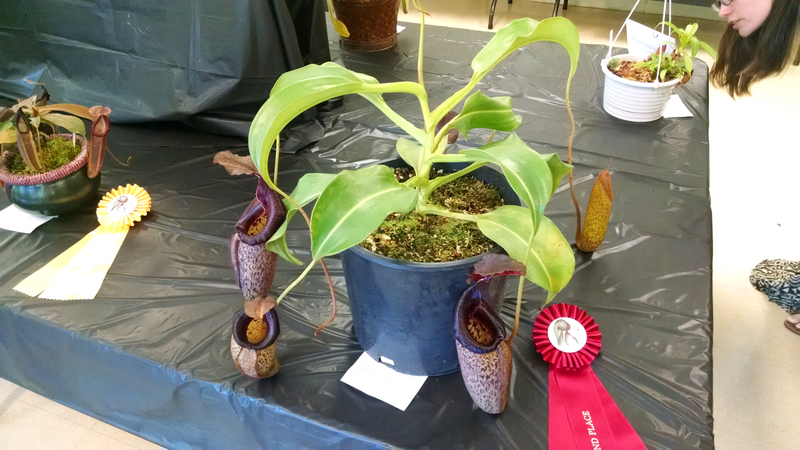 However there were zero entries in the "Other Pitcher" category, only 1 for the aquatics, 2 for Art, and just 3 in "Terrarium/Dish Garden." 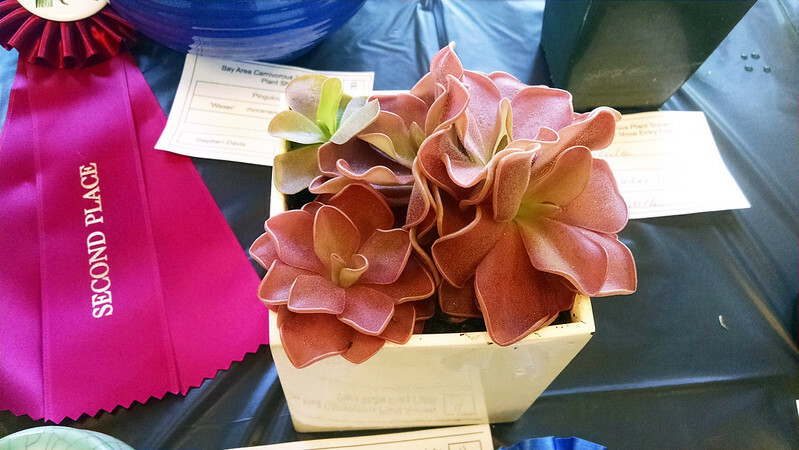 We're not sure why so few plants were submitted as compared to last year, but increasing show participation is going to be a major goal for the coming year in the BACPS. Now, without further ado, the entries. 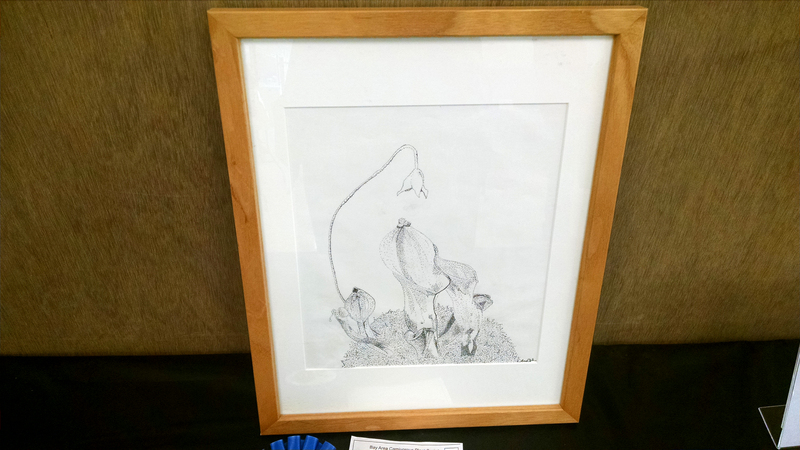 First: Heliamphora nutans, pontillist drawing, Sam Stafford. Second: Venus flytrap, metal sculpture, Benjamin Bailey. First: Pygmy Garden, Devon Peterson. 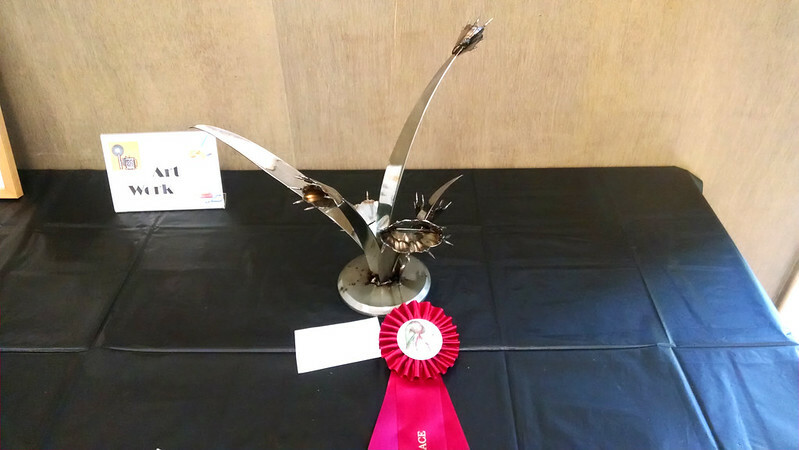 Also Third in Show. Second: Dish Garden featuring Pinguicula sp. Huahuapan, Stephen Davis. Check out that amazing flower! That's a new ping to add to my want list. Third: D. adelae, D. scorpioides, D. burmannii, Ben Raymond. First: Pinguicula 'Pirouette', Doris Quick. 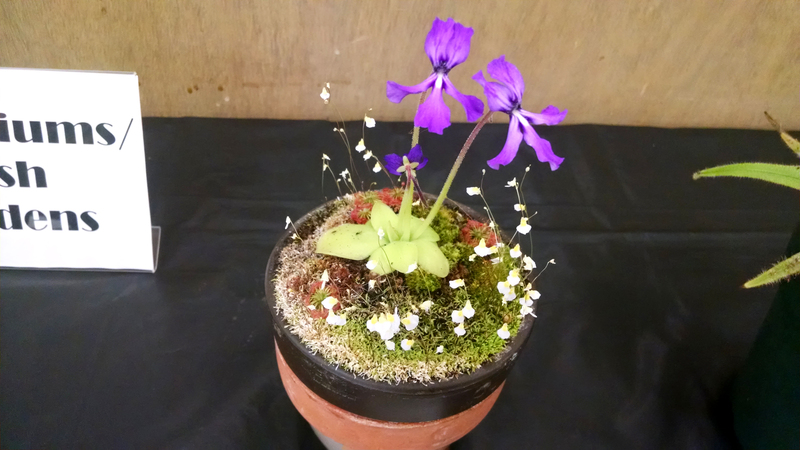 Second: Pinguicula 'Weser', Stephen Davis. 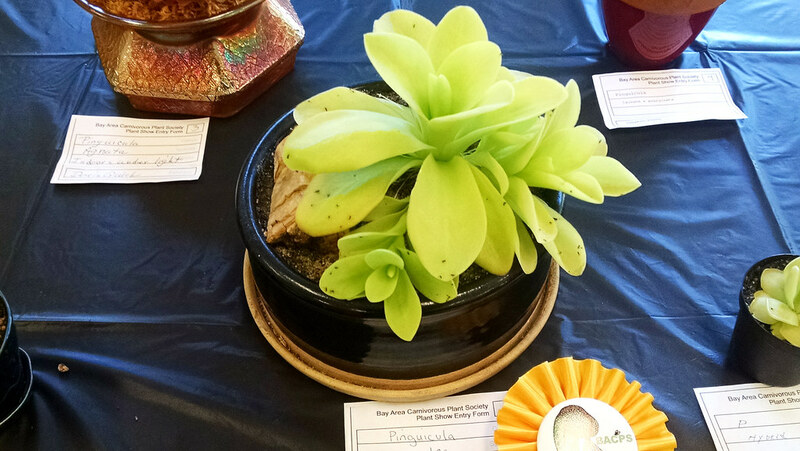 Third: Pinguicula gigantea, Brian Lipinski. First: Drosera falconeri, Apache Rose. Also First in Show. Second: Drosera ordensis, Apache Rose. Third: Drosera ultramafica × spatulata, Devon Peterson. First: Sarracenia flava var. rubricorpora, Doris Quick. 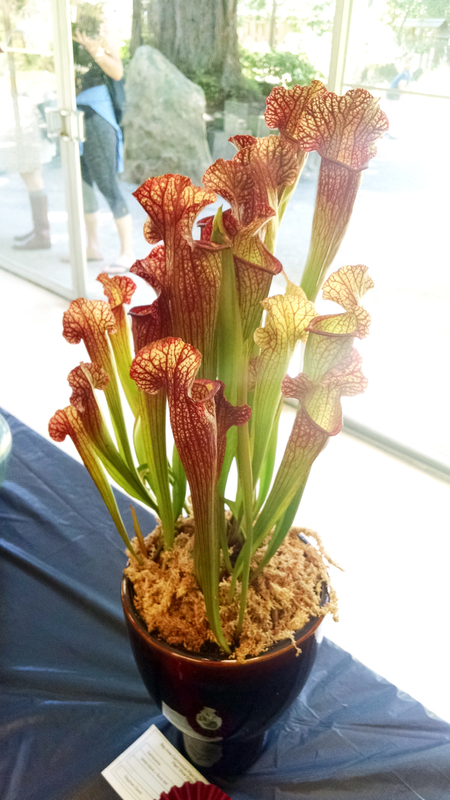 Second: Sarracenia alata "black" × flava "red", Stephen Davis. 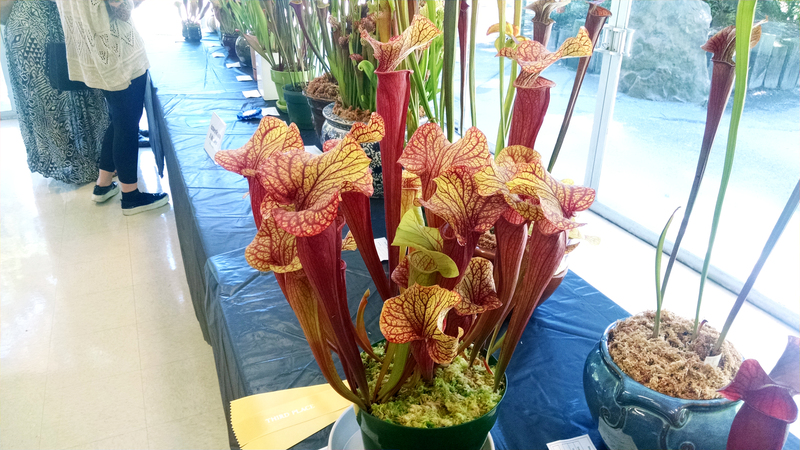 Third: Sarracenia hybrid, Larry Logoteta. First: Nepenthes spectabilis, Apache Rose. Also Second in Show and winner of the Geoff Wong Award for Horticultural Excellence. 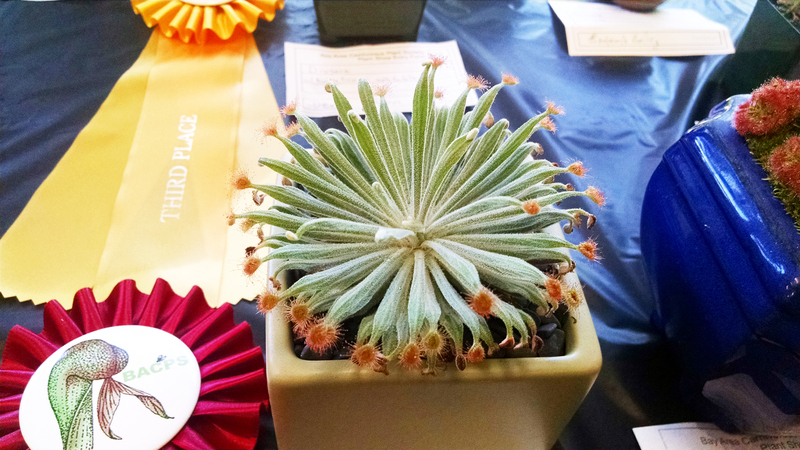 This was really a flawlessly-grown and wonderfully-presented plant. Apache really knows how to grow 'em. 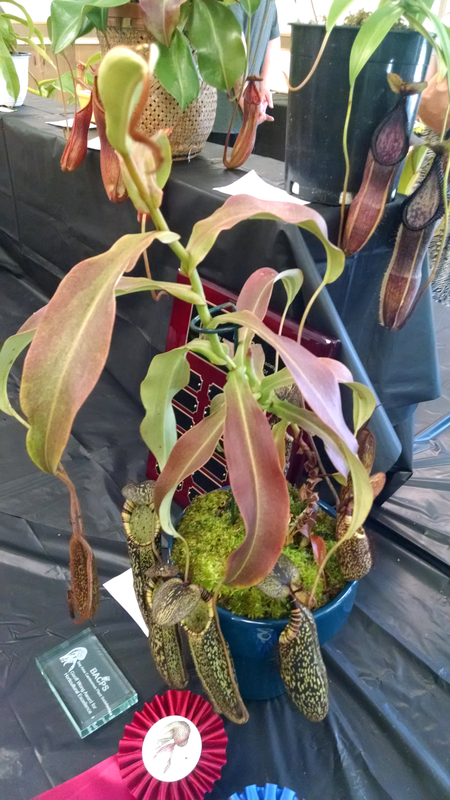 Second: Nepenthes talangensis × robcantleyi, Josh Brown. Third: Nepenthes bongso, Elizabeth Sampson. 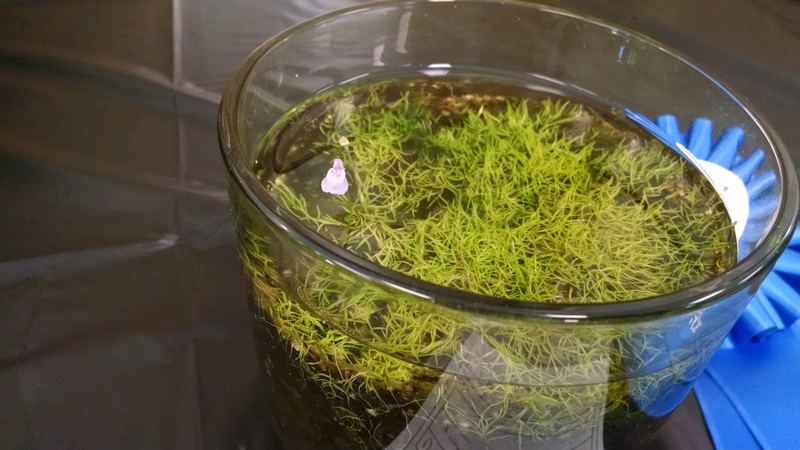 First: Utricularia graminifolia, Devon Peterson. I was sort of bummed there weren't more aquatic entries, since I think this guy would have shown well against some competition. Oh well. First: Dionaea 'B-52', Benjamin Bailey. 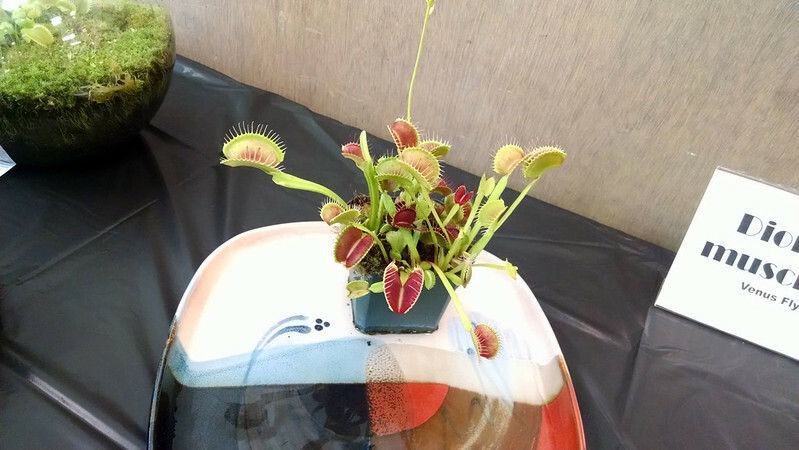 Second: Dionaea 'B-52' × 'Ginormous', Larry Logoteta. 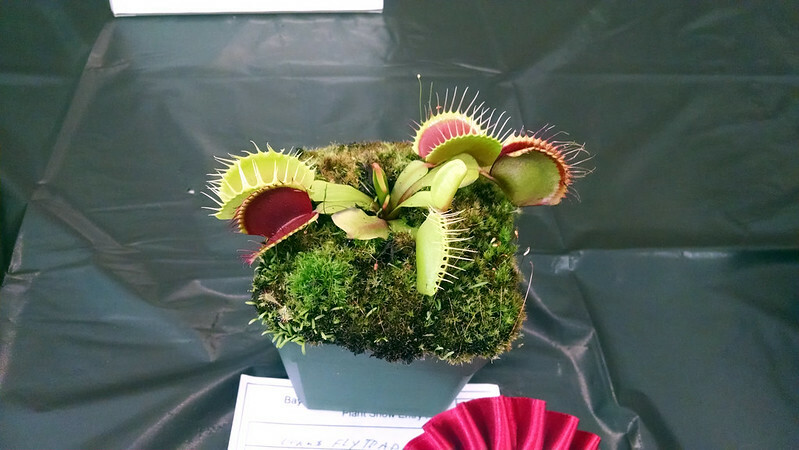 Third: Dionaea 'Red Dragon', Anne Smith. I've gotta say, the real hero of the show was Apache Rose. 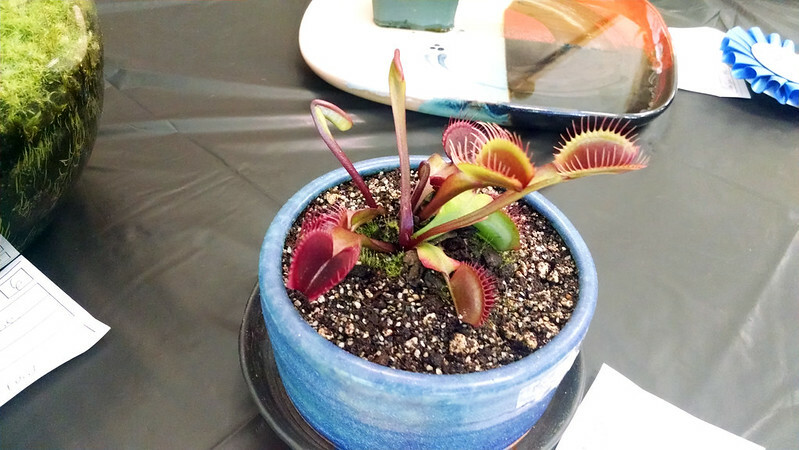 Anyone who's active in carnivorous plant groups on Facebook knows Apache, and she really brought some killers. 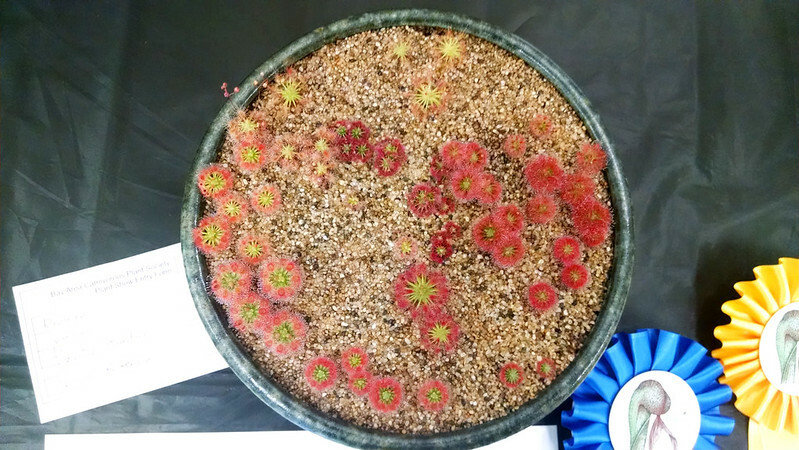 She also credited me with helping her get that D. falconeri so strikingly red – she raised her plant right up near the lights in the last two weeks to color it up, as I had done with my Drosera burmannii last year. It was well done! 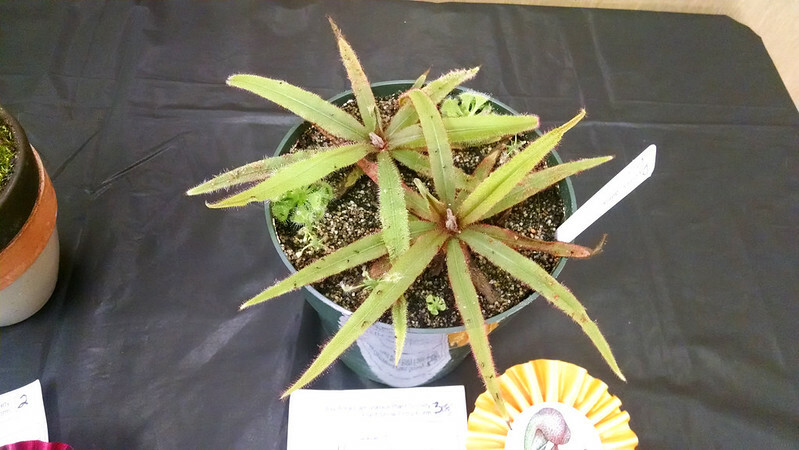 First in Show was Drosera falconeri by Apache Rose, Second in Show was Nepenthes spectabilis by Apache Rose, and Third in Show was my own humble pygmy garden. It was a fun show. Still, there were 5 ribbons not awarded due to lack of entries. Any SF Bay Area growers reading this post: start preparing your plants for next year. Nice job! I love the pygmy garden! Those are all some really great entries too, thanks for photos.